As part of The Press Christchurch Writers Festival 2010, Catalyst is unveiling their latest creation - the unholy spawn of reality TV, live performance and seat of the pants poetry to the death. Be part of history! Become the legend! When the page meets the stage can you survive the white heat of Survivor Poetry? 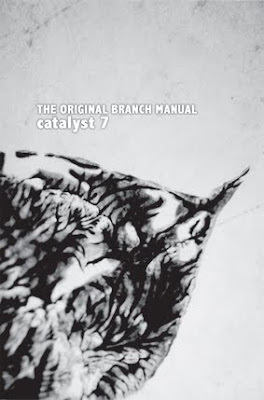 Once again producer Jody Lloyd has undertaken the foreboding task to compile music for and produce a spoken word cd with Christchurch poetry outfit Catalyst. This is the 3rd full length poetry-based CD produced by Catalyst . The first time we asked a few musicians for completed pieces of music. The second one was a collection of lyrical songs with spoken poetry added to them later. And for this one Jody has devised a more interesting plan, we want willing NZ musicians to send (by email) musical parts so i can use them like samples to compile new pieces of music. It'll be like piecing together a jigsaw puzzle with no prior picture. If you have any unfinished recordings, why not send us parts of them? If you are a drummer or percussionist, send some beats or rhythms. guitarists - send some long chords, strum out a rhythm or play a solo. bass player - make a bass line... but keep it simple. piano player, violinist, trumpet, flute, recorder, clarinet, triangle, dulcimer, marimba, traditional Maori instruments... anything! send us something you have played - even if it's just one note! Even if you aren't a musician but you want to record sounds from your backyard or neighbourhood - birds, cicada's, bees, trains, creek, animals, feel free to record something and send it. ATTENTION POETS: please don't send any recordings of your poetry, submissions are being invited by the editors directly. 1. We would prefer good recordings if possible, but if you have something great that is badly recorded, I may still be able to use it. 2. keep in mind I am making backing tracks for poetry - so keep it mellow. i.e. no death metal guitar solos. 3. format: wav, aiff or 320 mp3 files please. a 20 second wav file can be easily emailed. 4. submissions can be of any length, but preferably they should be 1 minute or less. 5. clearly name your file - with your name, and/or the name of the band you would like to be credited. By submitting musical sounds for the Catalyst 9 CD (which is an accompaniment to a book), you understand that your sounds may be manipulated or time stretched to suit the producers direction and ear. You also understand that your sound(s) may not be used if deemed inappropriate. You will be credited for your contribution, but there will be no financial payment. And due to the awkward and complex nature of the project, no track titles will be submitted to APRA for royalties. So you understand that your involvement in this project is because it's gonna be awesome, and this has never been done before (in the world). submissions close on Sept 1st 2010, so hurry! please forward this to anyone you know who might like to be involved.